Sgt. 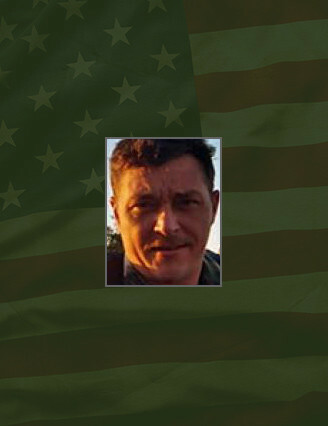 1st Class Robert K. McGee, 37, was assigned as a senior Special Forces weapons sergeant with Operational Detachment A 155, Company B, 2nd Battalion, 1st Special Forces Group (Airborne) at Joint Base Lewis-McChord, Wash.
McGee died in Manila, Philippines on July 1, 2004. He was deployed to the Philippines as a member of an advance team for Joint Special Operations Task Force-Philippines. He was to assist in light-infantry tactics training at Cotabato. McGee, a native of Antioch, Tenn., exemplified the spirit of the “Quiet Professional,” American fighting man and professional Soldier. During 17 years of military service, he distinguished himself while serving in multiple organizations and various positions. He enlisted in the U.S. Army in August 1984. Upon completion of One Station Unit Training and the Basic Airborne Course at Fort Benning, Ga., McGee was assigned to the 82nd Airborne Division at Fort Bragg, N.C. He served as an infantryman, machine gunner, fire team leader and squad leader. While assigned to the 82nd, he participated in numerous field-training exercises throughout the United States and a rotation as part of the Multi-National Force and Observers in the Sinai. McGee volunteered for Special Forces training in January 1988 and upon completion of the Special Forces Qualification Course, was assigned to the 1st Battalion, 1st SFG (A) at Torii Station, Okinawa, Japan. During McGee’s tenure with 1st Battalion, he served as a junior and senior SF weapons sergeant on ODA 121 and 125. He participated in numerous Joint Combined Exchange Training exercises to Korea, Japan, Republic of the Philippines, Kingdom of Thailand, Sri Lanka and Malaysia. In October 1992 McGee was reassigned to the U. S. Army John F. Kennedy Special Warfare Center and School at Fort Bragg where he taught Special Forces students. Three years later, he was assigned to 3rd Battalion, 1st SFG serving as the senior weapons sergeant on ODA 185. After serving 10 years as a Special Forces Soldier, McGee chose to finish his military career and begin a new career in the computer industry in Nashville, Tenn.
After Sept. 11, 2001, McGee volunteered for active service within the ranks of the Special Forces community and was assigned to the 1st SFG at Joint Base Lewis-McChord. His military education include the Basic Airborne Course, Static Line Jumpmaster Course, Waterborne Infiltration Course, Combat Diver Qualification Course, Combat Diving Supervisor Course, Jungle Warfare Course, Jungle Survival Course, Winter Mountain Warfare Course, Special Forces Qualification Course, Primary Leadership Development Course, Basic Noncommissioned Officers Course and Advanced Noncommissioned Officers Course. McGee’s awards and decorations include the Meritorious Service Medal, Army Commendation Medal, Army Achievement Medal, Good Conduct Medal, Joint Meritorious Unit Award, National Defense Service Medal, Armed Forces Expeditionary Medal, Multinational Force and Observers Medal, Noncommissioned Officers Professional Development Ribbon, Army Service Ribbon, Overseas Service Ribbon, Expert Infantry Badge, Master Parachutist Badge, Scuba Diver Badge, Expert Marksmanship Qualification Badge, Malaysian Parachutist Badge, Special Forces Tab, and Royal Thai Army Airborne Wings. His wife, Shannon and two sons, Michael and Zachary, survive him. His mother, Martha R. Goins, and a brother also survive him.